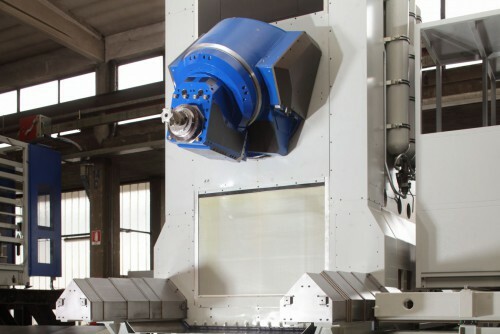 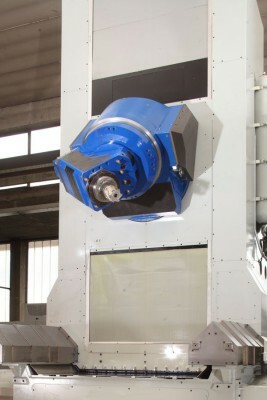 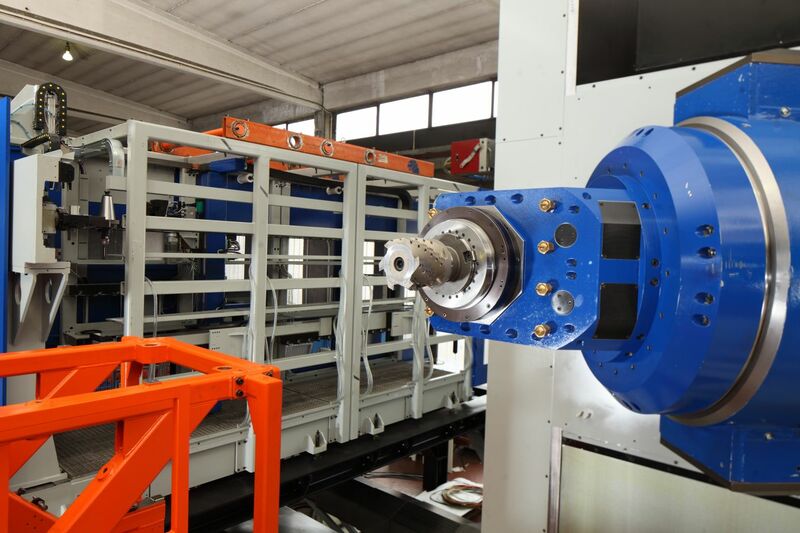 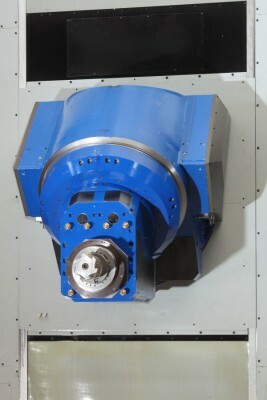 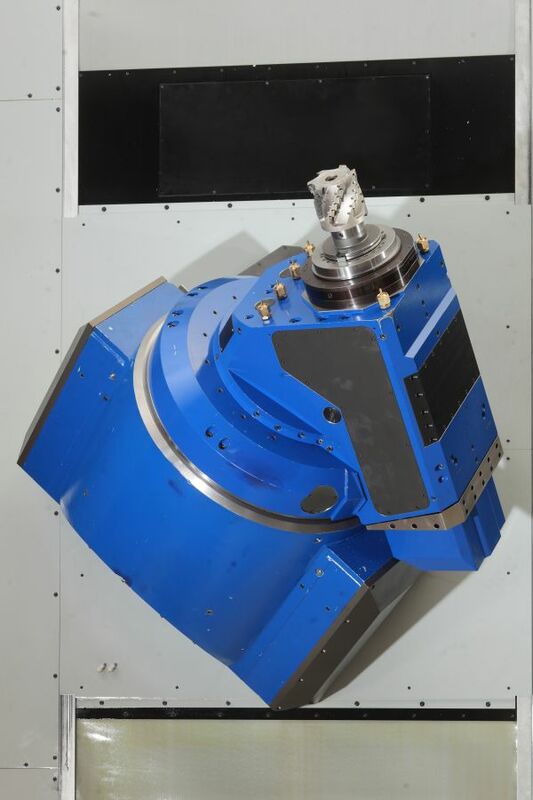 It has been designed for continuous 5-axis machining operations on prism-shaped large work-pieces loaded on a fixed working station. 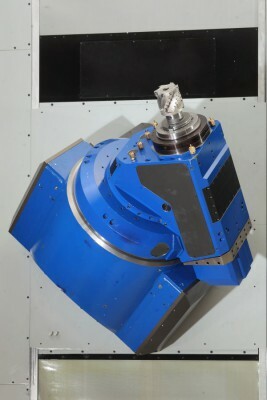 The two head rotation axes are directly controlled by the NC and respectively oriented horizontally and with a 45° inclination. 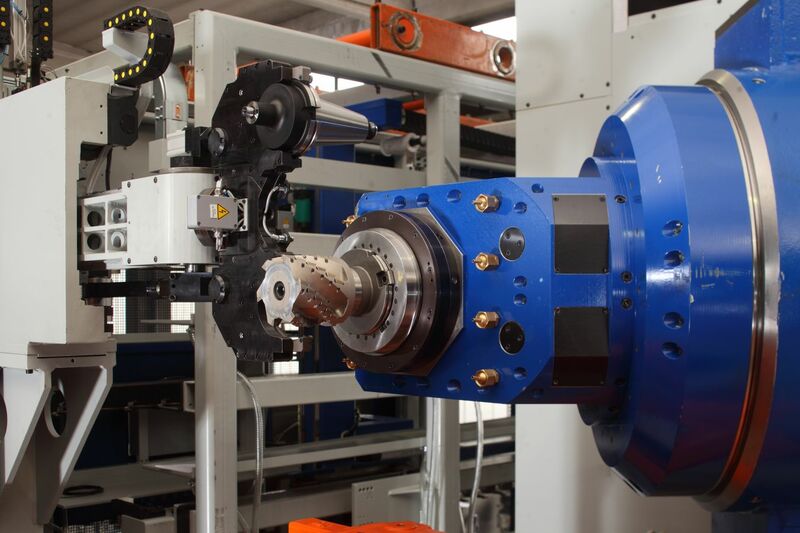 The double rotation head is equipped with a mechanical spindle providing outstanding torque rates for heavy roughing operations. The Hirth coupling and the hydraulic brake ensure an extremely rigid axis clamping and the accuracy is guaranteed by the backlash recovery systems with double pinion on both sides.